Colonel Gnabio Amaguna, in a speech to the Guinean parliament just before his coup dâ€™etat in 1979. If you have never heard of this man, thereâ€™s no need to worry. I hadnâ€™t heard of him too until a day ago. Thatâ€™s because he doesnâ€™t exist. I made the name up. These are the paraphrased words of Oliver Cromwell in 1653 to the English Rump Parliament just before he dismissed them. So, the words stem from a bygone era in a vastly different geographical location and bear no relation at all to the current circumstances in Nigeria. The days of military coups and insurrection are over. Consequently, the political class is free to do whatever it so pleases without fear of contradiction or confrontation. Or so goes the theory and conventional wisdom. However, here is what we actually know. Nigeria won its independence in 1960 â€“ itâ€™s fast approaching its 50th anniversary in October â€“ and for 29 of those 50 years, itâ€™s been ruled by the military. Out of the 21 years of civilian rule, for 8 of them (1999-2007), Nigeria was governed by Olusegun Obasanjo (a former military ruler) who then hand-picked Umaru Yarâ€™Adua to run as the presidential candidate for the ruling PDP party in the 2007 election which he won. President Yarâ€™Adua then ruled Nigeria from 2007 until his untimely death on May 5th. Despite his short Presidency, what was his legacy? Reversed some of the Obasanjo (not-value for money) policies which gave certain Asian companies priority for oil deals in return for infrastructure for development projects and similarly reversed other sales of the nationâ€™s most prized assets that provided no intrinsic benefit to the nation as a whole. Doing virtually nothing to improve the countryâ€™s chronic health system and seeing no contradiction or embarrassment in being flown abroad at regular intervals for his own treatment. Now there is a new President but what does the future hold for Goodluck Jonathan? He seems to have the goodwill of a relieved nation and international community. He has moved remarkably deftly to establish his own authority. He reshuffled the Cabinet with an unexpected ruthlessness, he appointed his own Vice President Namadi Sambo, sacked the previous head of the electoral commission, Maurice Iwu and has pledged to reform the system. The 64 million dollar question is: will he run for President in his own right in 2011? His party – the PDP has an informal zoning arrangement whereby its leadership and thus, the Presidency is carved out between the mainly Christian South (from where Jonathan hails) and the predominantly Muslim North of the country for two terms each. Obasanjo – from the South – did 2 terms (8 years) so the understanding was that the North would hold the leadership for 8 years also â€“ subject to winning re-election. Yarâ€™Aduaâ€™s death during his first term complicates matters and Northern voices feel they will be cheated if a Northerner is not at the top of the ticket in 2011. Will Mr Jonathan go down in history as the Gerald Ford of Nigerian politics â€“ an accidental President who took over at a time of great national crisis but failed to be elected in his own right? Or will he, instead, be a Lyndon Johnson-type who assumed the Presidency on the untimely death of his predecessor but yet brought in great institutional changes? Only time will tell. Letâ€™s, however, turn our attentions back to the Doomsday scenario at the start of this piece. And, why is this so? In my opinion, the Nigerian political class (with notable exceptions like Governor Fashola of Lagos State) has not yet reached a â€œpolitical-will-settlementâ€ amongst its fellow members to act for the greater good of the nation and they have rescinded the social contract that should bind their class to and with the people. Say whatever you want about the â€˜PIIGSâ€™ set of countries: Portugal, Ireland, Italy, Greece and Spain currently going through great economic turmoil but nobody doubts that their political class has at least a modicum of thought for the national interest and it could be legitimately argued that the stringent measures now being put in place by these countries reflect that. Yes, the BRIC nations (Brazil, Russia, India and China) still have their own difficult, internal issues to confront but what characterises all of them is the vision of their political elite to set their countries onto a path of economic and cultural liberation â€“ a liberation that is currently being executed before our very eyes. In any nation that regards itself as decent and civilised, there are specific chains which hold society together. They normally comprise of having: similar values, beliefs, aspirations and goals, rights and wrongs, respecting liberty and free speech, property rights and the rule of law – all such concepts being guarded and shepherded by custodians in the political class who are then accountable and transparent to the people. Only the most blinkered and tribal, Nigerian nationalistÂ – if you will pardon the oxymoron – can believe such a situation currently exists in the country. So, Nigeria is at a crossroads in its history. Take the right path and that should lead, if not to the Promised Land then, certainly, to a land that has promise. Take the wrong route and the fears of some may well be realised: fears of a vast nation comprising 150 million people sitting under a giant, ticking time-bomb that needs only the smallest of ignitions to be devastatingly activated. 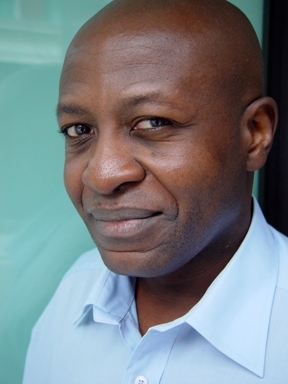 Leke Adebayo is a freelance writer as well as an actor, screen-writer and producer. THE POLITICAL DEVELOPMENTS IN NIGERIA REALLY NEED TO BE CLOSELY MONITORED AS THE RESULT COULD BE CHAOTIC AND EVENTUALLY LEAD TO A GOVERNMENT OF NATIONAL UNITY.